Provides an object-centric API for application development to implement custom applications using a well-defined object model, and set of programmatic APIs. The object model is defined using YANG modeling, and the APIs support Python and C/C++ programming languages. See Application programming for more information. 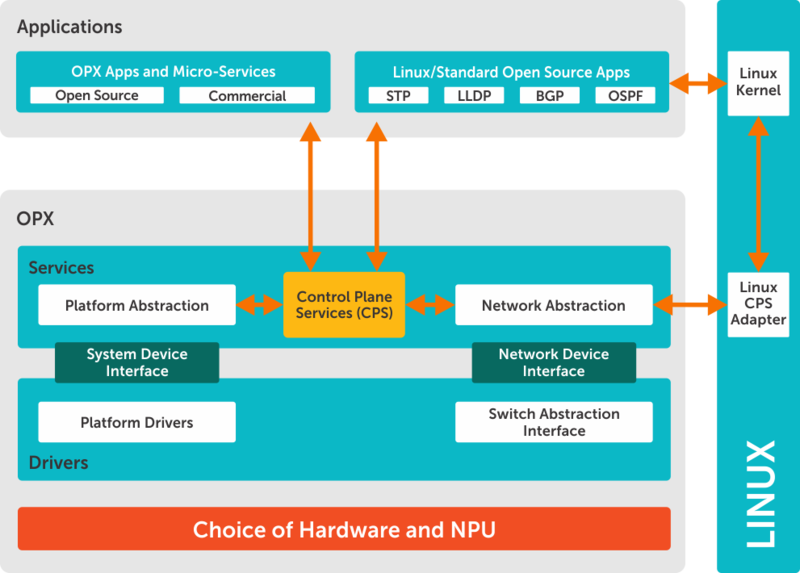 OPX software supports hardware virtualization (or simulation). Software simulation of basic hardware functionality is also provided (“white board”), and the higher layer software functionality can be developed and tested on generic PC/server hardware. See Hardware virtualization for more information. Other platforms will be supported in future releases. OpenSwitch software uses an earlier version of the SAI specification. The OpenSwitch implementation will be compliant to the future SAI API v1.0 when available.